The sun is going down sooner, the nights are getting cooler, and the leaves are starting to change. Sounds like this is a great time to eat the best seasonal items of autumn! Everyone knows that this is apple season but here is a list of other foods that are just getting to their peak-picking season in the fall. 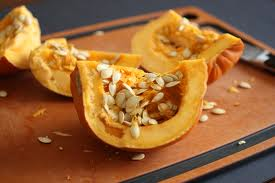 Pumpkin is full of fiber and vitamin A. These nutrients are a good way to boost immunity as flu season rolls around. Pumpkin is great for making muffins or bread with pumpkin puree and whole-wheat flour and a great way to fill the house with those autumn aromas. Beets are edible from their leafy greens down to the bulbous root. The leaves are similar to spinach and are delicious sautéed. 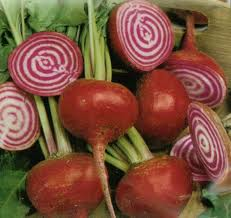 The grocery store most likely will carry red beets; your local farmers’ market may have more interesting varieties, such as golden or bull’s blood (have a bulls-eye pattern of rings). Beets are rich in naturally occurring nitrates and may help to support healthy blood pressure. Roasting or steaming beets whole takes the fuss out of peeling—the skin easily slides off! They’re also delicious raw, shredded and tossed in salads or thinly sliced and baked into chips. Sweet potatoes surpass white potatoes in terms of fiber, vitamins A and C. They can be baked in the oven until they’re soft and they be eaten as is or turned into a mash for a great colorful addition to the table. 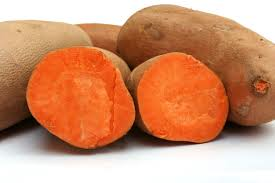 The sweetness of these potatoes also lends them to be being cooked and made into a desert full of vitamins. 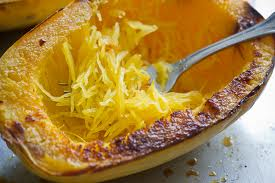 Spaghetti squash is a fun, kid-friendly vegetable that is a lower-calorie and gluten-free alternative to grain-based pasta. Cut it in half to reveal a pocket of seeds; scoop those out and pop the two halves into the microwave or oven and cook until tender. Scrape a fork into the flesh and spaghetti-like strands appear! Voilà! Toss with pesto or marinara sauce for a quick veggie-full side dish. Kale is a nutrient powerhouse. 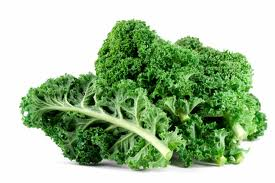 One cup of raw kale has only 33 calories and is loaded with vitamins A, C and K as well as manganese. Kale is great sautéed and cooked in soup, but is also excellent raw in salad; simply remove tough stems, slice into thin slivers and pair with something a bit sweet like carrots or apples. One advantage of using kale for your leafy greens is that you can add your dressing ahead of time; the kale becomes more tender and delicious, not wilted. Kale can also be roasted with a sprinkle of salt to make crispy Kale chips. Fall is the time to get to know these tart berries and their wealth of nutritional benefits. You may have heard of resveratrol in association with red wine, but this phytochemical is also found in cranberries. It may help to protect our hearts from oxidative damage as well as support healthy blood pressure. Another benefit? 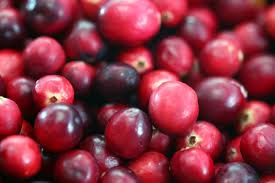 Cranberries may help protect from urinary tract infection. They contain a compound called proanthocyanidin that prevents harmful bacteria from sticking to your bladder wall. Fresh and dried cranberries pair well with a variety of meats and poultry. Fresh cranberries can be eaten raw but are often cooked. Dried cranberries are delicious in grain and vegetable salads and make a healthy snack on the go. So get out there to your local farmers market or local grocery store and start filling up your baskets with the many different foods at their freshest. When you buy foods in season, not only are you getting the freshest possible product but they also tend to be sold at a cheaper price because they are in their peak-growing season. Get your fill of these falls foods before they become out of season!